The Strv fm/21 is a Swedish tier 1 light tank. 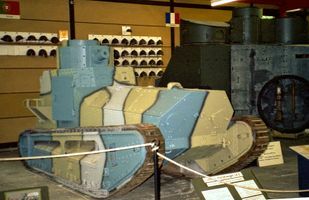 The LK II tank was developed in Germany in 1918. The vehicle underwent trials, and the German army placed an order for 1,000 tanks. However, the order was not completed before the end of World War I. In 1920, Germany sold 10 LK II vehicles to Sweden, which entered service under the designation Stridsvagn fm/21. 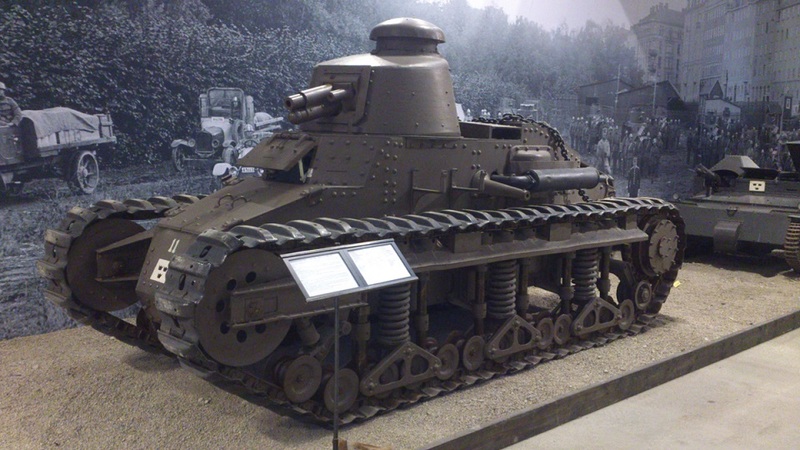 In 1929-1932, the vehicles underwent modernization and received more powerful engines and improved frontal armor. All modernized vehicles were designated Stridsvagn m/21-29 and were used for training purposes until 1940. The Strv fm/21 leads to the Pvlvv fm/42, and the Strv m/38. In the authors opinion, not recommended as the first tank to play in a player's first game after the tutorial missions. The Strv fm/21 presents a long profile as you round buildings leaving it vulnerable to tracking and other module damage. The turret is rear mounted, like most tier 1 tanks and the armour plate at rear of the tank is steep. If you are the lead tank in urban maps, presenting the rear of the tank to the enemy may be an effective use of the tank as the reverse speed is the highest of tier 1 tanks. The armour is 14mm all round on both the hull and turret. Based on the stats it may be better to use the stock tier 1 gun over the researched tier 2 gun. Camouflage Net will help with concealment while stationary. Sweden, due to its geographical location, has for a long time been able to stay out of European conflicts. But in the time of World War One, it became clear that Sweden could not rely on just its position, but it also would need a modern army. 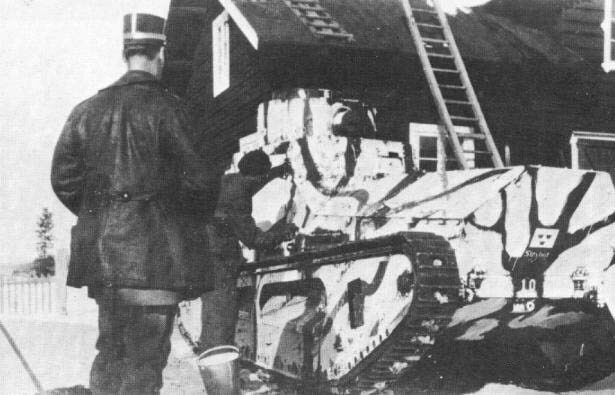 During this time, Sweden had close relations with Germany and in 1918, Swedish military attaché in Berlin was shown a knocked out British Mk IV tank. This would plant the seed of Swedish interest in tanks and as early as one year later, in 1919, attempts were made to purchase the British Whippet light tank. Due to the lack of money and enthusiasm from the army however, this led nowhere. Instead, negotiations were taken up with the Germans two years later, in 1921. Sweden was offered to secretly buy 10 German tanks, that had been produced, but never used because of the end of the war. These tanks were the “Leichter Kampfwagen II” light tanks, meant for easy mass production. The design borrowed heavily from British Whippet and French FT-17. The tank was based on a car chassis from Daimler, it had front mounted engine and rear mounted superstructure, armed with a cannon. Sweden was however not satisfied with the design and ordered several modifications to be made. Amongst the changes were the addition of fully traversable turret, as well as changes to the frontal hull. In late August 1921, the parts for the vehicles were imported from Germany as “tractors” and “boiler plates” to circumvent the Versailles treaty. 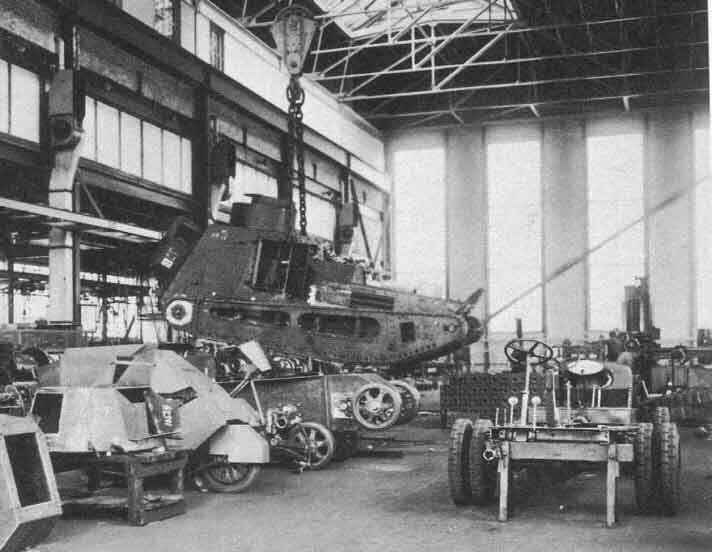 Assembly began as soon as the parts were available and in 1922, all the vehicles were ready. 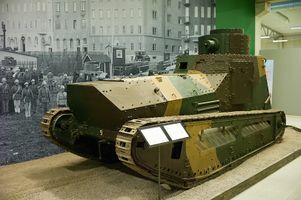 This new tank was designated Pansarvagn försöksmodell/1922, but this was soon changed to Strv fm/21. The new tank was the first armored vehicle in Sweden. It had an unusual layout with the engine in the front and the turret in the rear, it weighed 9 tons and was armed with an 8mm machinegun, it was powered by the Benz 1910 55hp engine. After some rudimentary one month tests in 1922, the tanks were put in storage. It was not until Autumn 1923 that five of the most reliable tanks would see action again. They were shipped across the country to a military exercise in Skåne, where they took part in a simulated attack. Here, the tanks were used in the support of Swedish infantry and because so few people knew of their existence, the exercise was a huge success. During late 1923 and 1924, the tanks were disassembled for the hardening of their armour plates, which took place at the navy shipbuilding yard in Stockholm. 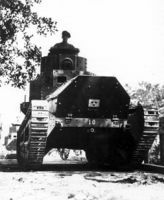 From 1924 to 1927, the tanks took part in series of tests and experiments. Among these was the experimental fitting of a radio receiver on tank number 5 and radio transmitters on tanks 10 and 6. 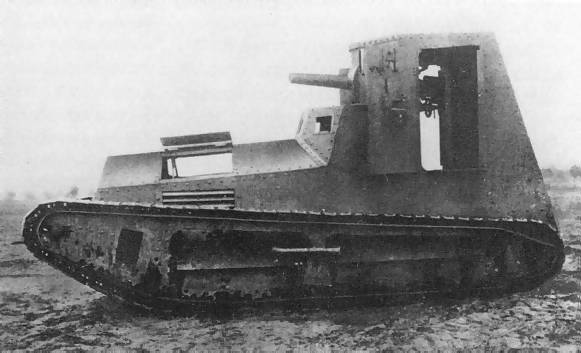 In 1923, Sweden had also purchased one surplus FT-17, that had been used in the war and was in bad condition. The vehicle was soon scrapped, but its 37mm gun remained and was tested on one of the Strv m/21. The gun would eventually end up on an armored car in 1926. 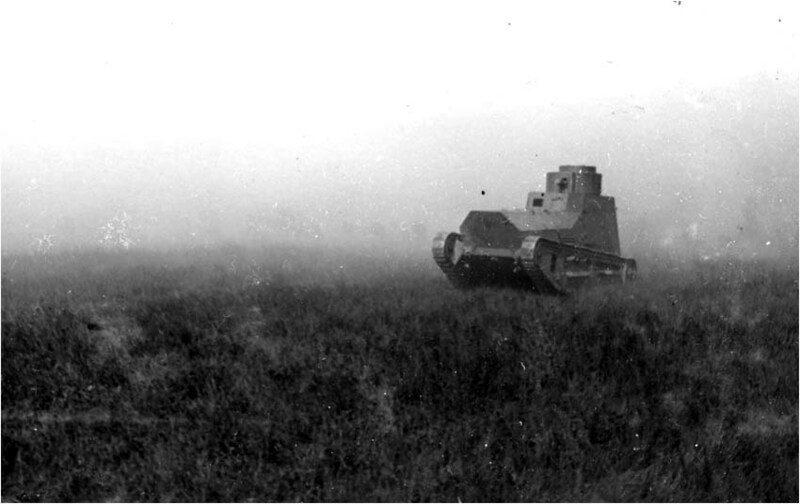 During this time, there were also several interesting tests with camouflage. Originally the tank had been painted in field gray, but now, 2 variants of winter camouflage were tested and during summer, the tank was covered with a three color green, brown and yellow pattern with black lines in-between, shared with the Pbil fm/26 armored car. As the testing continued, the lack of spare parts started to become a problem and even though some of the replacement suspension parts were now being produced, tanks number 1, 3, 4, 8 and 9 still had to be stripped for parts. It was not until 1927 the parts needed to keep all the tanks in running condition were delivered. 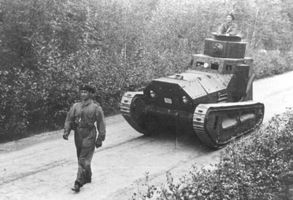 Soon it became clear that the Strv m/21 was growing increasingly obsolete and in 1928, a project was started to develop the new Swedish tank. This resulted in the purchase of a Renault NC-27, which was deemed unsuitable for Swedish conditions. Today, this is the only NC-27 remaining in the world and it can be seen at the Arsenalen museum. Instead of purchasing the French tank, it was decided to upgrade the Strv fm/21. In 1929, the schematics for a slightly improved fm/21 called Strv m/21-29 were ready. Changes were made to the engine, which was replaced by a Swedish Scania-Vabis 1544 85hp engine, and the tank recieved electric lighting. Two of these tanks were ordered and in 1930, they were finished. During the same time, one of the Strv fm/21 was being tested with a 37mm Škoda infantry gun, but the tests were unsuccessful. Between 1931 and 1934, three more Strv fm/21 were modernized to Strv m/21-29 by the Landsverk company as training vehicles, until new tanks could be delivered. It was not until 1938 that the Strv m/21-29 was retired from service with the purchase of the Czech ČKD AH-IV tankette. Today, three examples of the Strv m/21-29 remain – one in the Munster museum, and the final two are in the Strängnäs/Arsenalen museum, one of these is under restoration to driveable condition. Its maximum speed of real life vehicle is only 16 KM/H. But for making this vehicle not underpowered from its very low speed in same tier, Wargaming decided to increased this vehicle speed to 25 KM/H which is on par with most of tier 1. This page has been accessed 10,822 times.